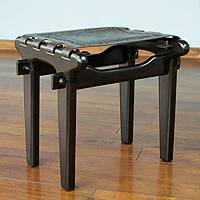 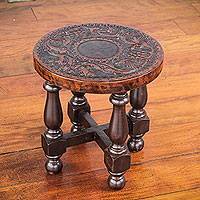 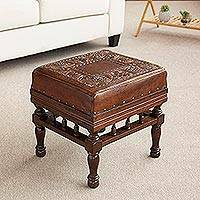 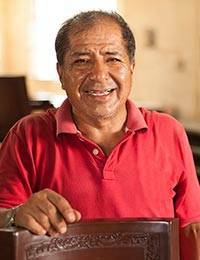 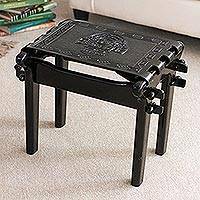 Although we tend to think of a footstool as a humble piece of furniture, the craftsmen in NOVICA’s Leather Stool collection show us that exquisite things sometimes come in small sizes. 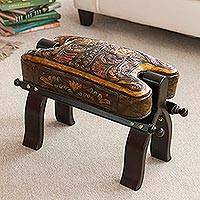 Whether it is the rich tornillo wood of Oscar Pastor’s vaulting horse stool, or the embossed leather of Abel Rios’s four-legged stool, these evocative pieces recall relics of the past, but do so with modern flare. 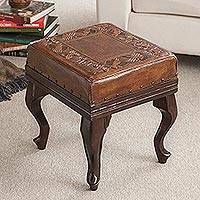 We invite you to explore our collection and enjoy the beauty of this fine leather artistry.